Most Web search engines use the content of the Web documents and their link structures to assess the relevance of the document to the user’s query. With the growth of the information available on the web, it becomes difficult for such Web search engines to satisfy the user information need expressed by few keywords. First, personalized information retrieval is a promising way to resolve this problem by modeling the user profile by his general interests and then integrating it in a personalized document ranking model. In this paper, we present a personalized search approach that involves a graph-based representation of the user profile. The user profile refers to the user interest in a specific search session defined as a sequence of related queries. It is built by means of score propagation that allows activating a set of semantically related concepts of reference ontology, namely the ODP. The user profile is maintained across related search activities using a graph-based merging strategy. For the purpose of detecting related search activities, we define a session boundary recognition mechanism based on the Kendall rank correlation measure that tracks changes in the dominant concepts held by the user profile relatively to a new submitted query. Personalization is performed by re-ranking the search results of related queries using the user profile. 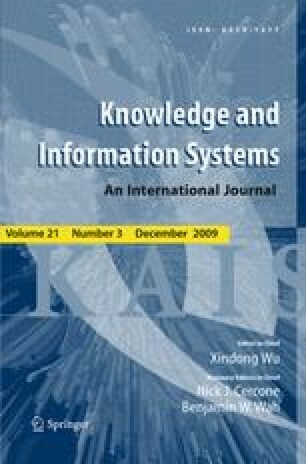 Our experimental evaluation is carried out using the HARD 2003 TREC collection and showed that our session boundary recognition mechanism based on the Kendall measure provides a significant precision comparatively to other non-ranking based measures like the cosine and the WebJaccard similarity measures. Moreover, results proved that the graph-based search personalization is effective for improving the search accuracy.